The Designated Hitter™ Pro will help your pitcher learn how to pitch inside and handle a hitter who might be crowding the plate. The Designated Hitter™ Pro is the ideal pitcher's training tool for baseball and softball pitchers at the advanced level. It allows your pitchers to have a live training or more realistic bullpen session without the need for a live batter. 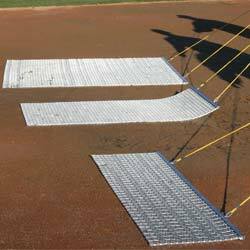 This gives your pitchers a more efficient, effective and safe training session while practicing on the mound. The Designated Hitter™ pitching dummy stands 5'9" tall, can be used indoors and outdoors, and comes with a weighted base to allow it to stand on its own. It is made with durable materials so it will not break when hit by fastballs. The Designated Hitter™ Pro is also constructed with beveled edges to reduce pitch deflection and provide a safer experience for your catchers. An orange string that attaches to the elbow of the dummy provides a visual representation of the inside corner of the strike zone for your pitchers to aim at. The DH displays all of the hitter's key landmarks, giving pitchers a complete image of the strike zone. 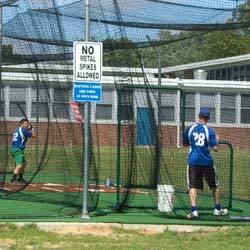 This helps pitchers develop more consistency in the accuracy and trajectory of their pitches. This helps your baseball and softball pitchers visualize the zone and practice hitting their marks. A little difficult to piece together, but very helpful for practicing pitching with a batter in the box, like a baseball silhouette. Priced a little high but overall, very glad we purchased this. Easy to assemble, and a great solution for a designated hitter. Wish I bought a designated hitter years ago. 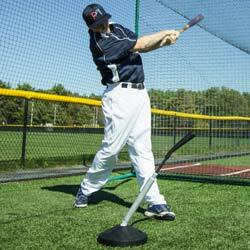 A great training aid for pitchers that is very durable. The realistic feel will prove very valuable in a pitcher's development. If you want results, you want this product. 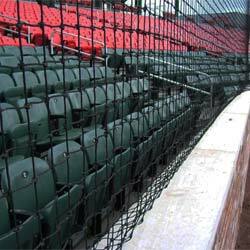 Great for bullpen use, and even for catchers to ppractice throwing to bases. Very satisfied with the purchase, and use it plenty. Pretty easy to assemble and is very durable. Has been a good tool our pitchers this spring. Relatively difficult to put together, but once I did I was very happy with the product.